Organic is as Organic Does – MAURO Seed Co.
We have a fast growing garden seed company — with a social mission to give back. One of the questions we get asked often is — “are your seeds organic?” This article address that very question. Stupid is as Stupid does. While there are many life lessons in the movie Forrest Gump, there is one that can be applied to gardening. Forrest is asked if he is stupid and he says “stupid is as stupid does”. What Forrest imputed was that stupidity is determined by a person’s actions, rather than outward appearance. This is actually a derivation from ‘handsome is as handsome does’. So it is about actions and not appearances. Safe is as Safe does. Last year I wrote an important piece entitled Is non-GMO food worse for you than GMO? . I exposed non-GMO labeling as a wolf in sheep’s clothing with respect to food. Non-GMO wheat, for example, is still sprayed with glyphosate before harvest for dessication or drying out. So, you can have the most non-GMOest wheat in the world, but if you dump pesticides and herbicides on it, its not safe. The summary of the article is that non-GMO labeling doesn’t accurately portray food safety. I argued that for food, Organic was the better choice for consumers (but not the gospel — more on that later). Organic is as Organic does. Lets apply that same logic to garden seeds. A seed is a genetic blueprint of a plant. Regardless of label, the seed was harvested from the inside of a plant that was grown. It magically ends up in your seed package. Then you open it… That’s where ‘Organic’ begins. The food you will eat will be influenced not by the place it was, but the place it is. Will you spray glyphosate on the weeds and grass before tilling or will you use solarization? Will you use Seven Dust or other toxic insecticides on your vegetables or neem oil and diatomaceous earth? 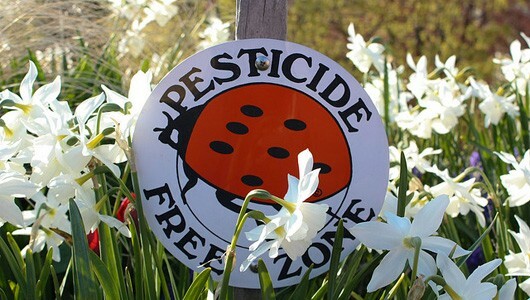 Do you use synthetic fertilizers or natural ones? All of these inputs are directly absorbed by the plant and reside on the plant — and the food you eat. If healthy and chemical free is the objective — how you grow is what matters. You have the most organic-est seed but put chemicals on it — did the USDA Label really matter? If you have a non USDA seed and grow it using organic techniques — is unsafe to eat? No. Its common sense. We looked into getting USDA Organic certified but chose not to a couple years ago. We found that the regulatory burden kept us from focusing time on our giving mission and the cost of USDA Organic seeds was bad economics. Remember, for every seed we sell, we donate one to someone in need. At our small scale, we have to consider that. Most importantly, we have a 3 year track record of selling awesome seeds. We have found great suppliers that make great seeds that grow amazingly. We pack them right and our products have performed exceptionally well — better than many ‘organic’ companies BTW. Our customers love them and we have developed a very loyal following that say they love our seed company first — and feel that our mission is just an extra bonus (we respectfully feel its the other way around). Maybe one day we will do the USDA Organic thing for show — but we know that organic is really about how you grow. Organic is as Organic does. Its just common sense.